Yesterday’s analysis of the S&P 500 expected choppy, overlapping movement trending upwards for Wednesday’s session. 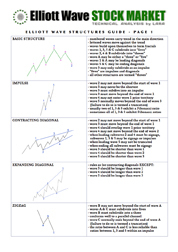 Price has failed very slightly to make a new high so we did not see the upwards movement I was anticipating, but the sideways and overlapping movement is typical of a correction which was expected. With more structure in this new movement to analyse I can now have a better idea of what should happen next. I still have just the one daily wave count with two hourly wave counts today. This main hourly wave count and the alternate below have about an even probability. Wave (ii) green may have been over as a very shallow brief zigzag. There is no Fibonacci ratio between waves a and c orange. Wave c orange is very slightly truncated but all the subdivisions within it are correct and complete on the 5 and 1 minute charts. Wave (ii) green is a 28% correction of wave (i) green. Price has found resistance at the lower edge of the parallel channel on the daily chart. This may have been the cause of the very slight truncation. 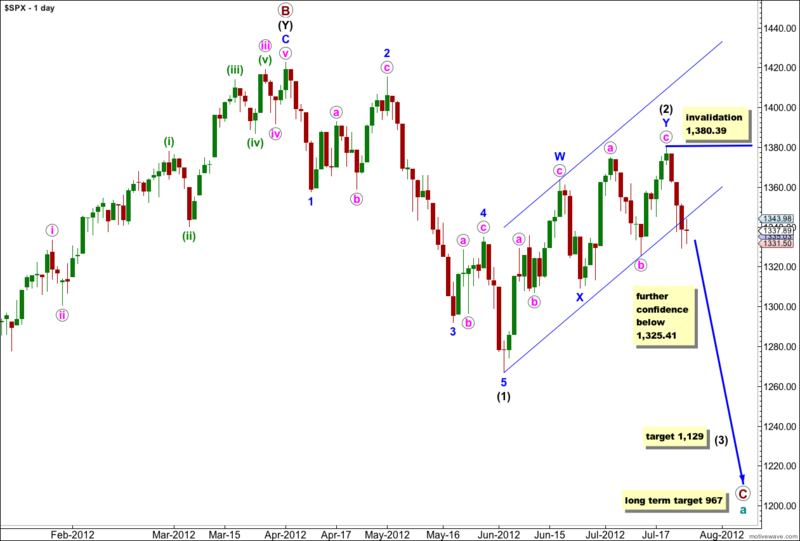 If this wave count is correct then tomorrow should see strong downwards movement as a third wave begins. At 1,261 wave (iii) green would reach 1.618 the length of wave (i) green. This wave count would be confirmed with a clear 5 down on the 5 minute to hourly chart (I will be looking closely at the structure of the next session on all time frames). This would eliminate a possible B or X wave downwards and so eliminate the alternate below. 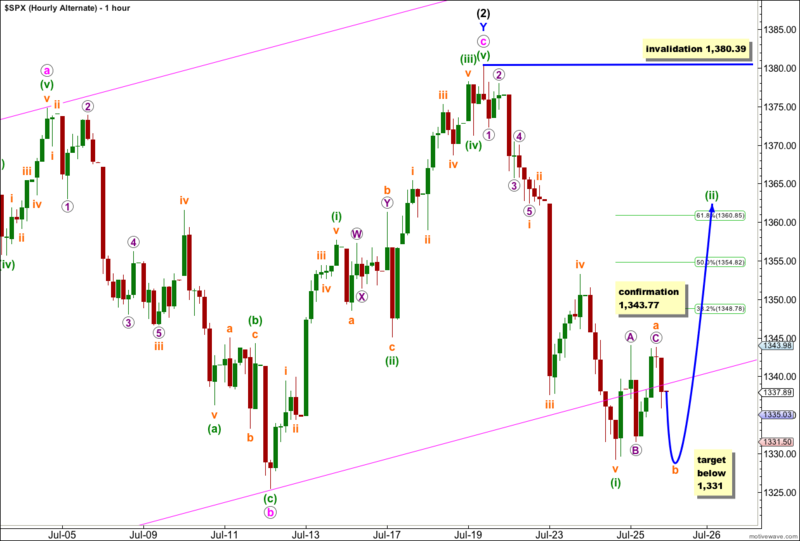 Unfortunately, there is no lower price point which differentiates the two wave counts. This wave count is invalidated by any movement above 1,343.77. Within wave (iii) green no second wave correction may move beyond the start of the first wave. If we simply move the degree of labeling within this correction of wave (ii) green down one degree, we may have seen only wave a orange (or w orange) complete. Wave (ii) green may be unfolding as a flat correction where wave a orange subdivides into a three. 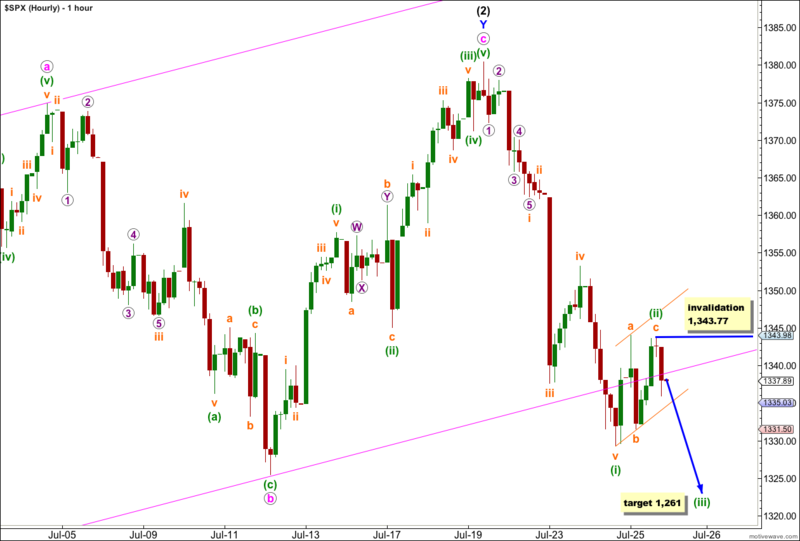 For a flat correction wave b orange should be at least 90% the length of wave a orange below 1,331. Within a flat correction wave B may make a new price extreme beyond the start of wave A so there is no downwards invalidation point and we could see a new low tomorrow. Wave (ii) green may be unfolding as a double zigzag or double combination, where the first structure in the double is complete and would be labeled wave w orange (instead of wave a orange). A double would see a three down (most likely a zigzag) labeled wave x orange. This would not have to be at least 90% the length of wave a orange and if downwards movement falls short of 1,331 tomorrow then this would be a likely explanation. 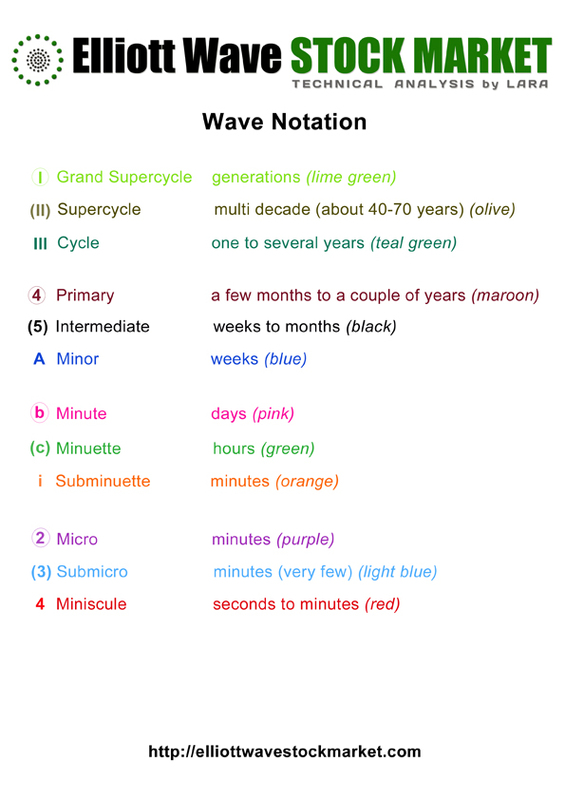 When wave b orange (or wave x orange) is complete we should see further upwards movement for wave c orange (or sideways movement for wave y orange) to complete the entire correction for wave (ii) green. This alternate wave count expects overall choppy overlapping movement for tomorrow: beginning with downwards movement possibly to new lows, and thereafter upwards movement possibly to new highs. I’m wondering if what you have labeled as orange c of green ii was actually just wave 1 of orange c. Yesterday’s move down at the close could have been wave 2, with a wave 3 up this morning. Yes, that will be my wave count exactly today. Sold the 61.8% Fib … ES HOD 1354.50 ….